What you see is what you get at Intune Motorcycles. As riders and fellow motorcycle enthusiasts, we value high quality work, craftsmanship, authentic customer service with an all-round positive outcome. 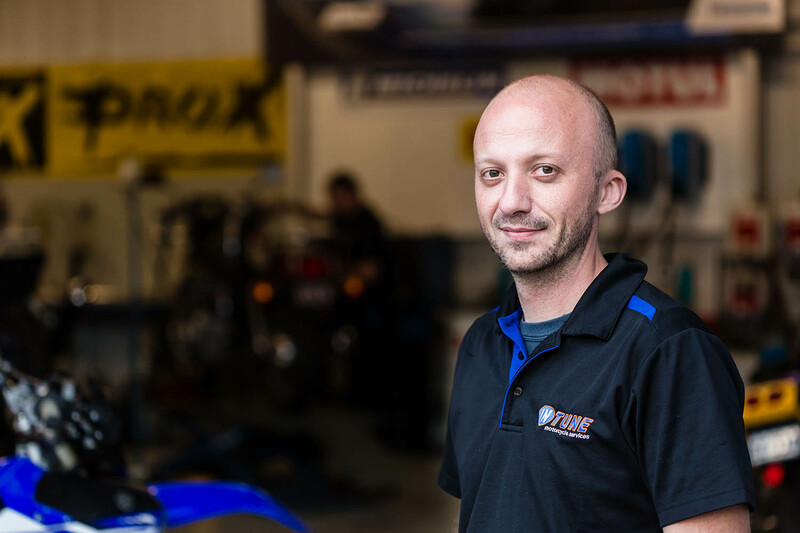 InTune Motorcycle Services offers full motorcycle roadworthy checks in accordance with VicRoads Motorcycle Registration requirements. We provide all-inclusive yet "Old School" service: we listen, we talk to you, we spend the time. These Google reviews are the real deal, just like us! Had my R6 tuned down there with luke. Friendly and professional guys that don't charge like a wounded bull. Highly reccomend them. Fantastic service, good prices excellent work.I can't recommend the intune team enough. They are the.only guys i go to to get my Triumph services.or repaired. Luke gave me valued information and did a great service. Genuine as well. After a 12 months of hibernation for the KTM, the carby was blocked up and engine running rough. Luke serviced the bike and fixed a few other faults as well. Intune are a genuine and professional work shop, easy to deal with, and will be returning to them again in future. I researched extensively as to who would be the best to undertake the work required on my bike. On discussing my problem with Luke it became very clear that intune were the right place!! His consideration and advice provided the comfort I required. The end result has seen me going from 'really liking' to 'loving' my bike. Luke's honest and authentic approach was highly valued and appreciated. I was having problems with a chain, went down and saw the guys at Intune who took care if it for me. Luke is a perfectionist and took a lot of pride in doing the job “right” even though my particular chain was a non standard application. Would not hesitate to recommend these guys to anyone needing work done on their pride and joy. Wow, wish every automotive service centre was as good as these guys. Thanks for all your help! Thank Luke, for taking the time to provide some great advice. Also appreciate the service #klr650 feels like new! and independent workshops in Melbourne. Luke’s philosophy is to enable customers to enjoy riding their bikes. He enjoys a challenge, and is a keen problem solver. While he’s not working on your bike, he is out riding in Victoria’s forests. Trade Qualified Mechanic with over 25 years of experience in the Industry both in Dealerships, Independant Workshops in Melbourne & rural Victoria. For Paul, riding bikes gives him a sense of freedom and fixing them gives him a real sense of achievement. He aims to provide you with a positive and friendly experience from start to finish. Paul - the family man - in his spare time, enjoys bike rallies: pitching the swag, listening to bands and talking bikes with his mates. Intune Motorcycles is conveniently located within the bike hub of Ringwood and is walking distance to 6 other motorcycle retail stores. Intune Motorcycles is open all day from Monday through to Friday from 9am to 5.30pm. We can also perform some jobs while you wait. 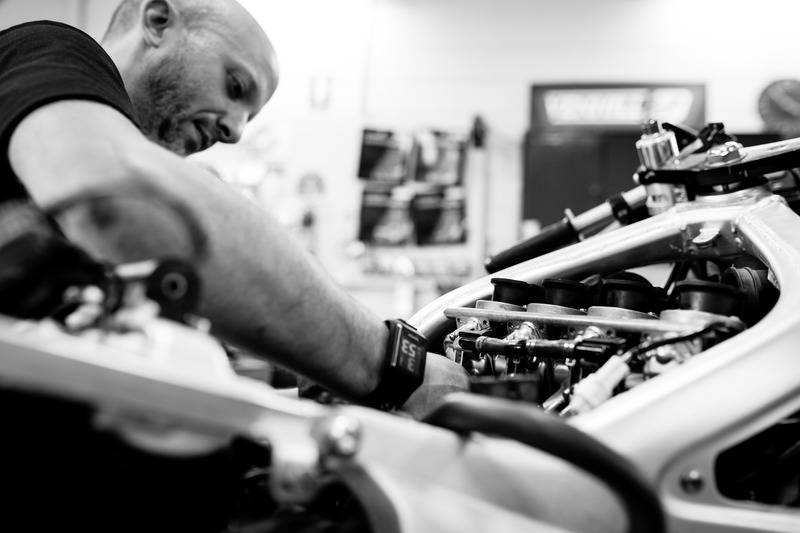 Contact us on 03 9879 6688 to book or to discuss your next Service Appointment at Intune Motorcycles. 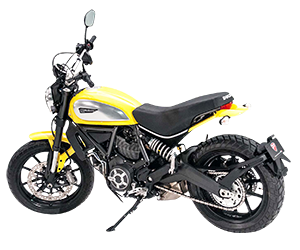 Questions Regarding Off-Road Motorbike Registration? VicRoads provide a handy information document; click the button for all the details.